How about I write a post today about something this blog was actually intended for? To help you organize and de-clutter your home? I haven’t done it lately, especially since I have discovered how much I have to learn still. But, ok – maybe I tell you something that I do know has worked for me. 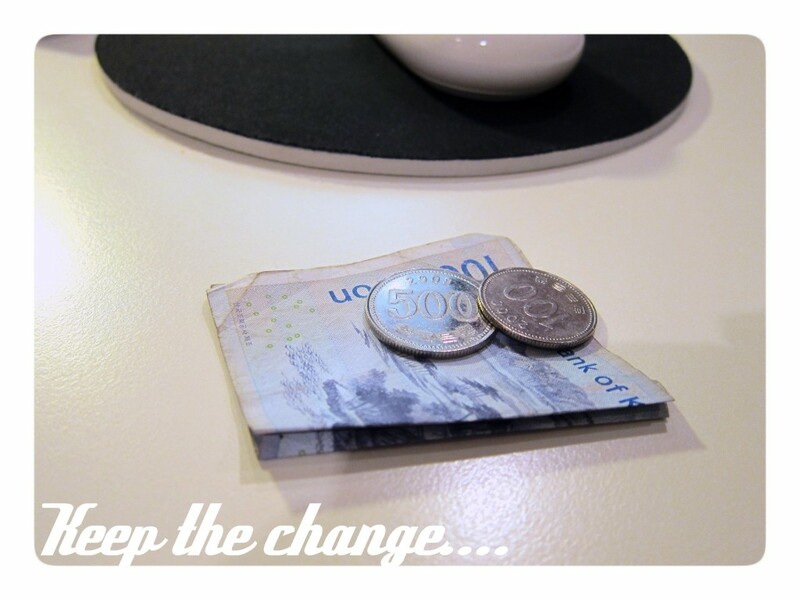 If you live in a country where small change can pile up heaps on a daily basis….to the point that you can’t carry them all in your wallet…but you can also not throw it away since it all adds up to a substantial amount….. you gotta deal with it right? Yes – keep it ! but DO NOT throw them in the nearest drawer… that just makes for a whole other clean-up exercise and they get lost ! Okay – so I haven’t told you anything you don’t know already. 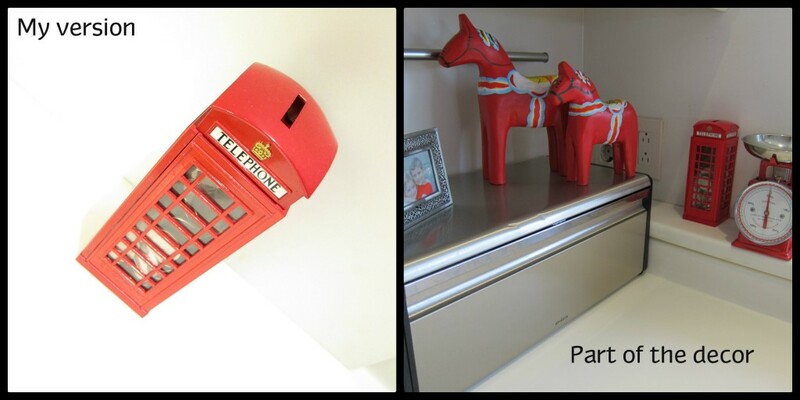 Piggy banks are not only for kids collecting pocket money in their bedrooms ! Yes, therein lies the trick ! 2) Let it be pretty – so it is pleasing to the eye and not a clutter object in itself ! 3) Go one step further – let it be special – mine is from a trip to London to my sister…so, it is a constant reminder of good times past, every time I drop a coin in. 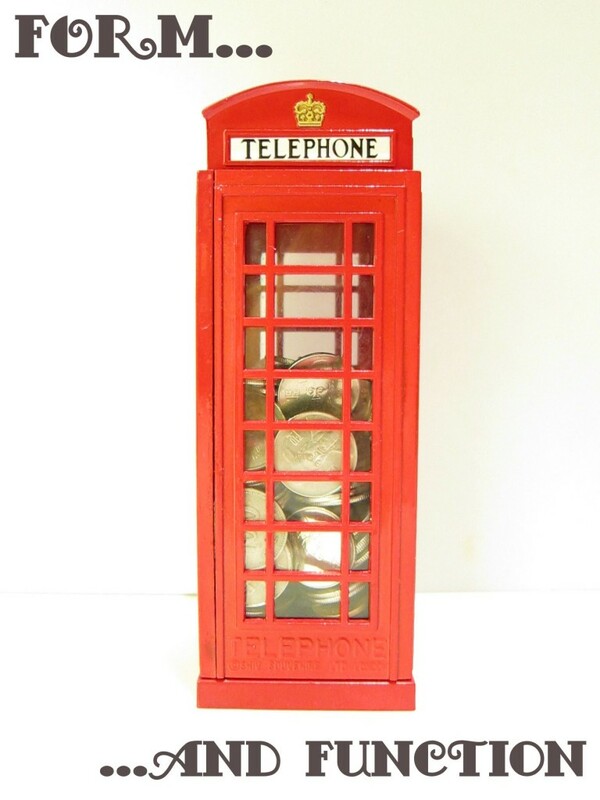 4) Let it be the real thing – a coin bank. As soon as it has a “lid” like an old jam jar you think you will just use for the same purpose?? Not gonna work. As soon as you have to open the lid first… too much work ! Need to do it as easy as you would throw a tissue in the trash..meaning pick up and drop all in one go needing one hand only. 5) Do not put it inside a cupboard – again… won’t get used. 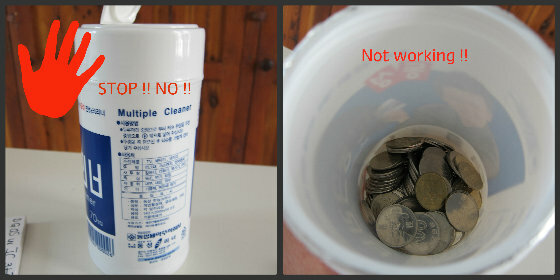 6) Give it a purpose – so the cleaning lady and the family will all have an incentive to also drop the loose coins in there. What to do with all the coins in your little bank once it is full? Well, here is an idea ! 1) A reward system for the children – whoever did best on their week’s chores, gets to empty out the family bank end of the week and it goes to their own piggy bank. 2) The milk and bread money for one shopping trip on the day it gets full and needs to be emptied out. 3) An incentive for the cleaning lady/ house helper. I empty it out once full and sometimes give the money as an extra bonus for work that was well done. It encourages good relations in the house when people feel recognition. And the version my husband somehow sneeked into the house – which, trust me … you don’t want in your house ! Well, no need to save up here for a rainy day anymore. Sun is out and it is a glorious day !! But – keep that change.. you never know !! HAVE A FUN FRIDAY everybody. Tonight I am going to see Lady GaGa in concert in Seoul. What are you up to this weekend?? Let me know. 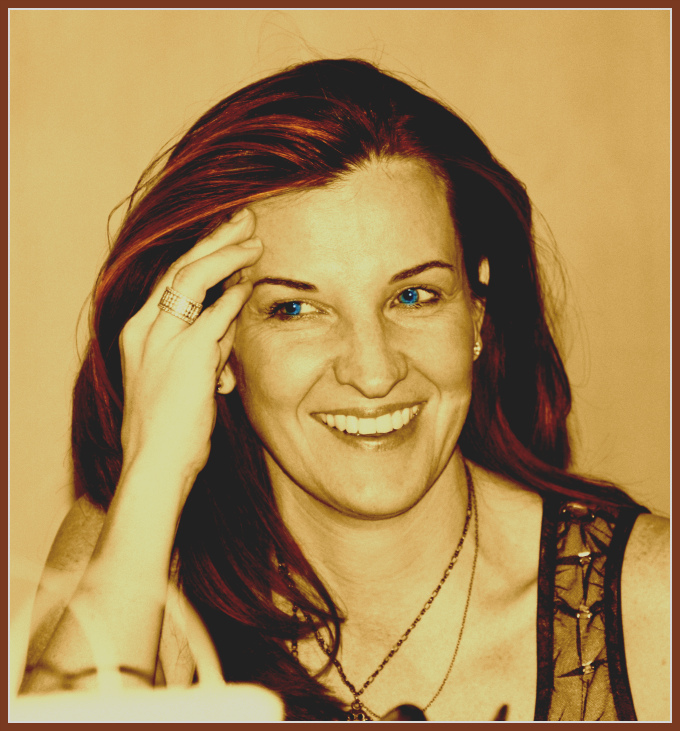 2 responses to Keep the change – 6 ways how and 3 reasons why ! Great idea! In fact there is a great hello kitty maneki neko statue that I have my eye on. It’s good to keep coins and I love your London piggy bank. I always thing that giving away the left over coins to charity is the best way to deal with the problem, you give but you don’t notice and it kind of helps you too. Everyone is happy!